commercializing novel tools for the life science and biomedical communities. 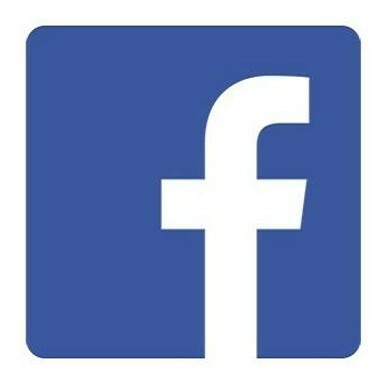 Most of our products and technology platforms can be found nowhere else. to obtain an accurate GFR or RBF measurement. For several magnetic separation protocols, it is desirable to be able to track and quantify the magnetic particles. For these applications, BioPAL has developed Trackable BioMagic™. Trackable BioMagic™ is a standard iron oxide magnetic particle that is laced with europium. As a result, researchers can track and quantify the fate of the magnetic particles under different experimental conditions either by time resolved fluorescent technology (TRF) or by neutron activation (NA). The europium contained in the magnetic particle does not contain a TRF antenna. As a result, researchers planning to use TRF readout systems will need to purchase BioPAL's releasing reagent. This reagent is formulated to both (1) breakdown the iron oxide colloidal core and then (2) individually chelate an antenna onto the released europium atoms. The degree of sensitivity and quantification achievable by TRF is dependent on many factors, such as the limitation of the readout equipment and variation in sample preparation, i.e., sample size, density, viscosity, temperature, etc. As a result, researchers must evaluate these parameters. Alternatively, BioPAl offers neutron activation analysis of samples-of-interest as an out-source service, i.e., customers send samples to BioPAl for analysis. Neutron activation provides a sensitive and quantitative measurement that is matrix independent. Trackable BioMagic™ is the first and only silane-coated particle on the market that is trackable. Trackable BioMagic™ is provided in a limited number of formulations. Additional formulations can be provided as a custom syntheses. Amine-terminated Trackable BioMagic™ consists of a suspension of magnetic iron oxide particles laced with europium and coated to provide primary amine groups. The amine groups allow for the covalent attachment of proteins or ligands with retention of biological activity. The stoichiometry of the amine functional groups is about 240 µmol/g. 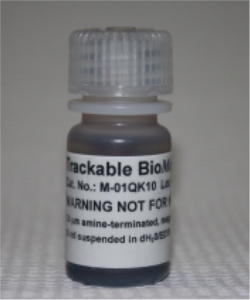 Trackable BioMagic™ immobilization kit consists of a suspension of amine-terminated, europium laced magnetic iron oxide particles, 25% solution of high purity glutaraldehyde, and instructions. To minimize the cost, reusable items, such as a reaction flask or a magnetic field separator, are not included in the kit. BioPAL offers its releasing reagent for Trackable BioMagic, europium-based product-line. This reagent is formulated for europium. Other TRF labels, such as terbium, are under development. Different lanthanide isotopes may require different formulations of the releasing reagent.